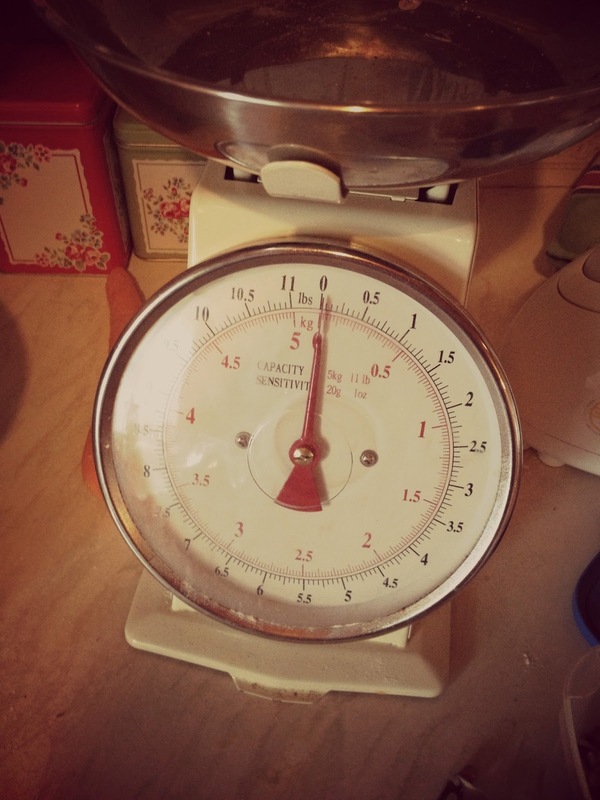 As you know from Our Week #4 I was excited to get my new food mixer! So far, I have only used it once, but it was fab! 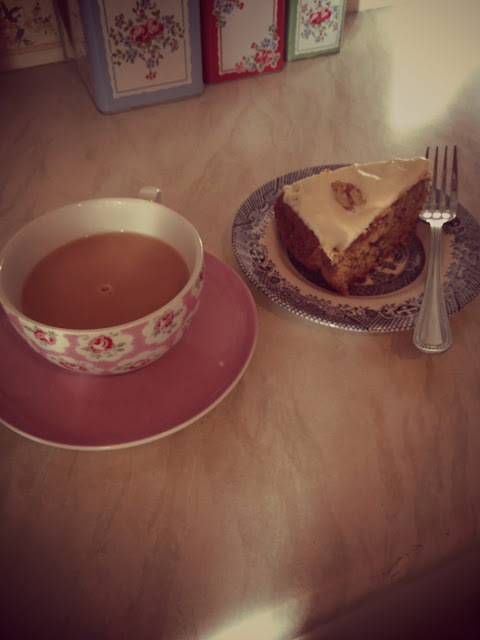 I made carrot cake, which I used to make a lot, by hand, but using the mixer made the mixture much lighter and softer and even the hubby noticed the difference, so it must have been good! Put all the ingredients for the cake into a bowl and mix really well. 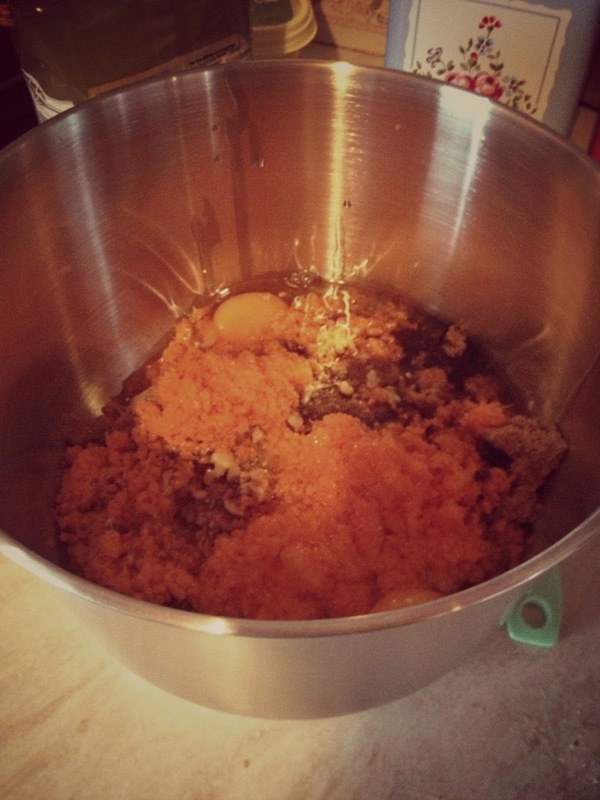 It won't look smooth because of the carrot and walnuts, but the actual mixture should be free from clumps of sugar etc. Pour into a greased cicrcular baking tin (I used a spring form one as it's easier to get out at the end and I always line it with parchement) and put in the oven for 50-60 mins at 160c. After 50 mins, check the cake by putting a skewer or similiar into the cake, if it comes out clean, it's ready! The cake should have risen and come away from the side of the tin a bit. Leave to cool for about 10 minutes and then remove from the tin. Sift the icing sugar into a bowl and add the cream cheese and butter. Blitz until smooth. Dollop the mixture onto the cake and spread out using a spatula. 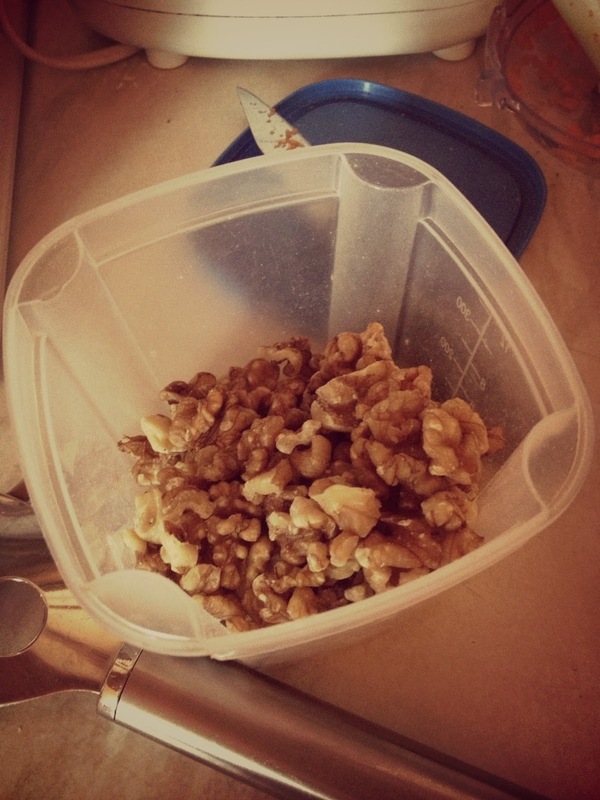 You can decorate with the walnuts in whatever way you like! 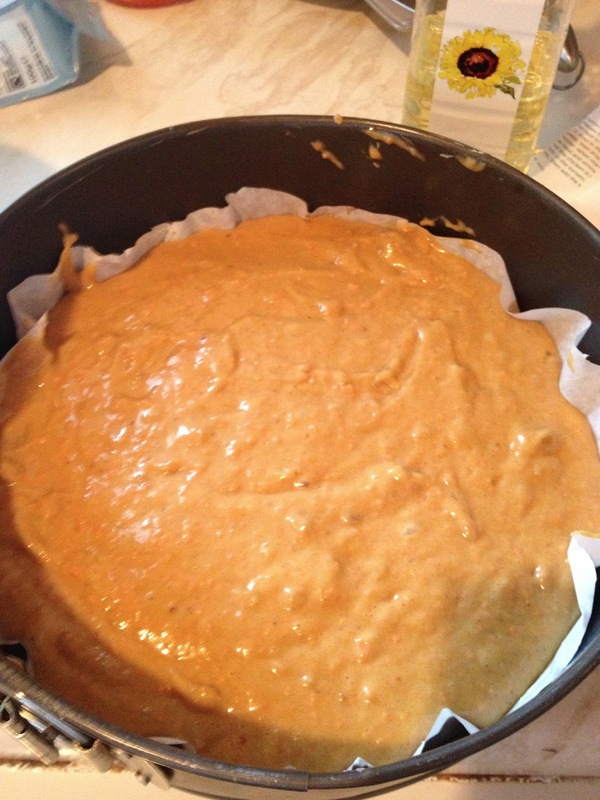 You should now chill the cake in the fridge as the topping will be quite wet and needs to set a bit. 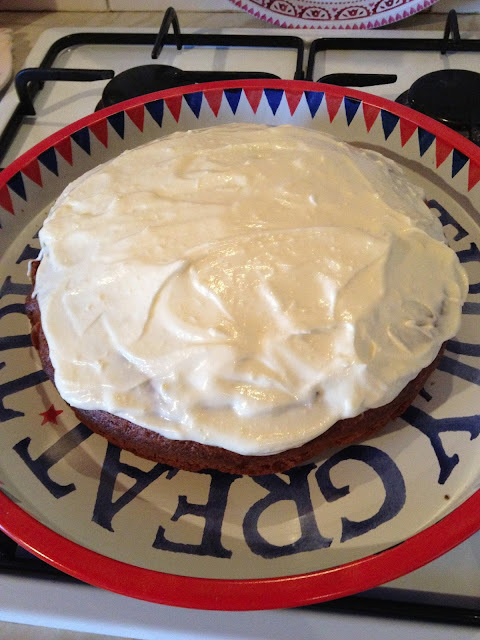 I have to admit that the original recipe came from Mary Berry. Although, I know this must be classed as a sin, but I have amended the original recipe and played around with it a bit to our own tastes. The original recipe had mashed banana in it. I don't really like bananas so I take this bit out. 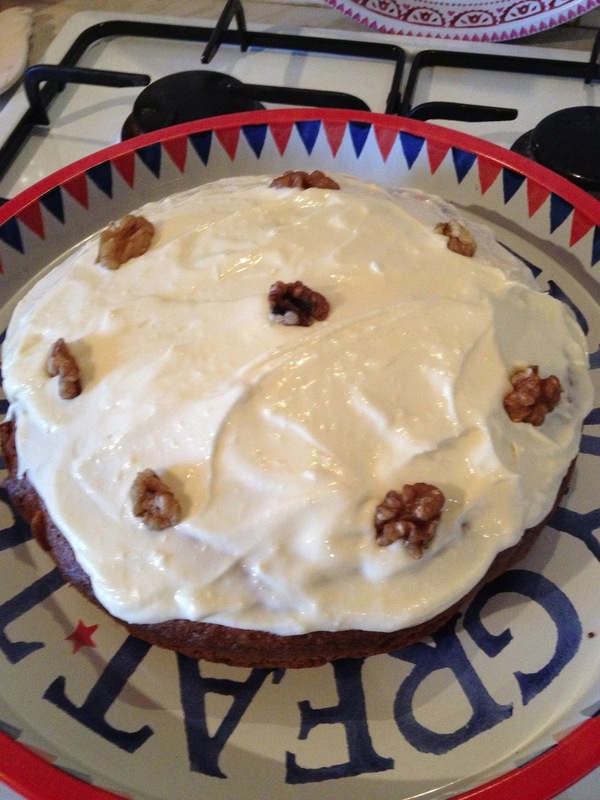 I found though, that the resulting cake could be a bit tasteless without them, so I uppsed the quantities of carrots and walnuts as I like the cake with a bit of crunch as well. I'm happy with the final quantities I have, but it's taken a couple of years to get there! Happy New Year, Bump Update and more!